WHY DO MORE PATIENTS TRUST TAMPA BAY HAIR RESTORATION? Dr. Michael Markou, D.O., is the leading Hair Restoration Doctor in Tampa, Florida. 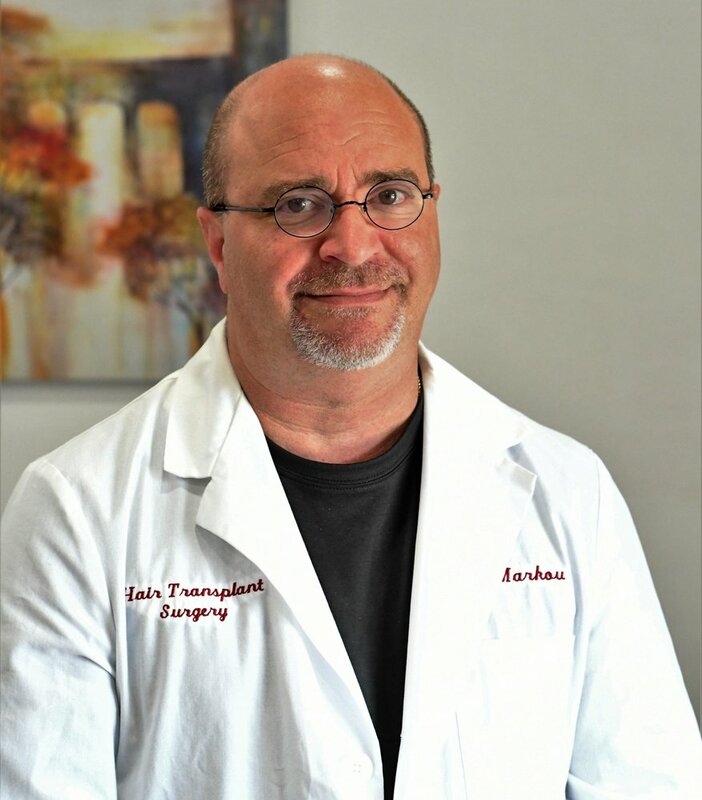 He's dedicated his medical career to researching only the best in treatments to provide the most optimal hair growth for patients suffering from genetic scalp conditions and pattern baldness. Tampa Bay Hair Restoration offers the latest advancements in hair loss treatments, including Robotic Hair Restoration. With the newest state-of-the-art hair restoration technology available, Dr. Markou is able to achieve natural-looking and longer-lasting results. CELEBRATING 25 YEARS OF PRACTICING HAIR RESTORATION! Dr. Markou is a board-certified Doctor of Osteopathic Medicine (D.O.) and has been an influential member of the International Society of Hair Restoration Surgery since 1994. He has performed thousands of hair restoration procedures for men and women over his 20+ year career. Dr. Markou is an internationally renowned Hair Restoration Surgeon who offers the most innovative, scarless techniques to treat hair loss. He has earned numerous awards for his groundbreaking research, leadership, experience, and training of other hair restoration doctors. Roughly 40% of the female population in the United States suffers from thinning hair by the age of 40. Tampa Bay Hair Restoration specializes in hair loss treatments for women. We offer a variety of female hair restoration procedures to effectively restore the effects of hair loss. Dr. Markou was the 1st Hair Restoration Surgeon in Florida to offer Regenerative Medicine as a treatment for hair loss in 2009. Tampa Bay Hair Restoration is proud to offer multiple regenerative treatments clinically proven to naturally revitalize hair without the need for surgery. 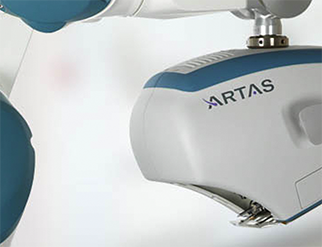 The ARTAS® Robotic Hair Transplant System is the most technologically advanced device used in hair restoration. 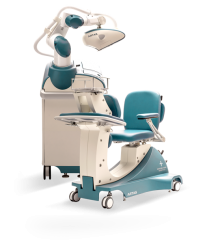 The innovative Robotic Technology at Tampa Bay Hair Restoration uses advanced digital imaging, precision robotics, and Artificial Intelligence to promote natural-looking and longer-lasting results. 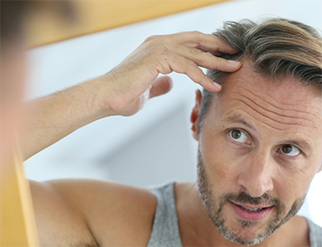 The minimally invasive procedure offers a multitude of benefits to patients suffering from hair loss – including unparalleled performance, faster procedure time, no stitches or linear scarring, and a speedy recovery. 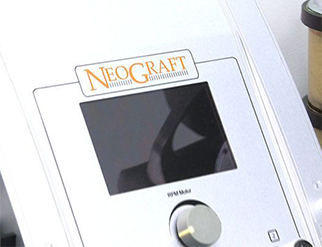 The NeoGraft® Hair Transplant System was the 1st surgical hair restoration device approved by the FDA. The automated system was created to improve the accuracy, time, and results of manual hair transplant procedures. Tampa Bay Hair Restoration uses NeoGraft to restore hair loss in men and women using the FUE Hair Transplant technique. The procedure is less invasive than other surgical hair restoration options, and promotes natural-looking results with NO stitches, NO suturing, and NO linear scarring. 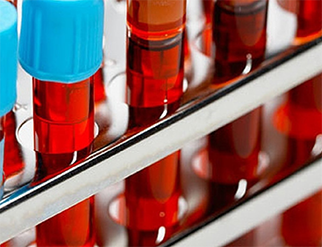 PRP Hair Restoration is a non-surgical, therapeutic treatment for hair loss that uses the patient’s own blood plasma to promote hair regrowth. Tampa Bay Hair Restoration uses the treatment to help heal damaged hair, stimulate new hair growth, and prevent further hair loss in men and women. Stem Cell Hair Treatment is a non-surgical hair restoration procedure that can help to reverse the effects of hair loss in men and women. Tampa Bay Hair Restoration uses stem cells to regenerate damaged hair follicles for natural hair regrowth and follicular rejuvenation. Laser Hair Restoration is a non-surgical hair loss treatment that uses specific wavelengths to improve the growth, texture, and volume of hair within very short sessions. The treatment can help to positively influence new hair growth and stop further hair loss in men and women. Follicular Unit Transplantation (FUT) is one of the two most common techniques used in hair transplants at Tampa Bay Hair Restoration. FUT is less expensive than other hair transplant options, and can even help men and women in the more advanced stages of hair loss. Hair loss is a common occurrence in both men AND women. Tampa Bay Hair Restoration offers a variety of hair loss treatments for women looking to obtain the most natural-looking and undetectable results – including surgical and non-surgical hair restoration options. Dr. Michael Markou is the licensed and certified Hair Restoration Physician at the Tampa Bay Hair Restoration Center. He is able to prescribe his patients hair loss medications to help slow down the hair loss cycle and inhibit further follicular thinning from taking place. Dr. Michael Markou at Tampa Bay Hair Restoration specializes in Cellular Regenerative Medicine, Hair Restoration Surgery, and Family Medicine. Dr. Markou is a Board-Certified Doctor of Osteopathic Medicine (D.O. ), Florida Delegate of the American Osteopathic Association, Board of Trustees Member of the Florida Osteopathic Medical Association, member of the American Academy of Anti-Aging Medicine, member of the International Society of Cosmetic Laser Surgeons, member on multiple committees of the International Society of Hair Restoration Surgery, and more! Dr. Markou is world renowned for his ground-breaking research and commitment to excellence. He took part in Merck Pharmaceutical Studies on the only FDA-approved hair loss medication, Propecia, and also published the 1st research article on Low-Level Laser Hair Restoration. Dr. Markou was even the 1st Hair Restoration Physician in Florida to utilize Regenerative Medicine to naturally regenerate hair growth.